8 Lifestyle Habits You've Been Doing Wrong! Home Fun Facts 8 Lifestyle Habits You’ve Been Doing Wrong! There certain things that we’ve been doing a certain way, and it doesn’t even cross your mind to question the way we’re doing them. From eating, drinking, sleeping and even breathing, apparently there are “correct” ways to do these things! You’ve probably heard of some of these, but just in case you haven’t, find out which lifestyle habits you’re doing wrong! Oh, come on. What do you mean that there’s a correct way to sleep? Just lie down and close your eyes, right? Wrong. Your sleeping posture is important for the spine, and here are just a few tips from the experts. When sleeping flat on your back, place a small pillow under your knees. If you’re sleeping on your side, place a firm pillow between your legs, and curl them up slightly towards your chest. When you turn, move your body as a whole unit instead of bending at the waist. Basically, always keep your ears, shoulders, and hips aligned. Who knew that sleeping could be like a dance class? If you’re the type to slather yourself with lotion after a shower for that extra moisturisation, think about at which point, exactly, do you do it? After rubbing yourself down with a towel, I presume? Hate to break it to you, but apparently you should be applying lotion fresh out of the shower, i.e. when your skin’s still damp. There’s no need to dry yourself before you apply lotion, because its effects will be minimised. Oh, and while we’re at it, rubbing yourself dry is also wrong. You should be patting yourself dry to avoid dry skin. This has been a pretty common highlighted issue in recent years: how close is your toothbrush to the toilet bowl, and do you close the toilet lid when you flush? If your answers are “quite close” and “no”, you’re practically feeding yourself germs straight out of your toilet bowl. *cringe* When you flush and leave the lid open, the particles can float up to six feet away, and if your sink (and toothbrush) is conveniently located next to the toilet bowl… you know. So please, at least cover up when you flush! Breathing is natural, and subconscious. Most don’t think about how they breathe, and therefore most of us are apparently breathing wrong. Take a deep breath right now. Did your shoulders rise up a little, and your chest puff up a little like a gorilla getting ready to beat on its chest? *sounds buzzer* You’re doing it wrong. You should be breathing from your abdomen, not chest. Chest-breaths are shallower and result in less oxygen intake. Use your diaphragm, get more oxygen, and you won’t have to take as many breaths. If you’re swearing at this, thinking how on earth could you even drink wrongly, hold on. This isn’t about the method, but the timing. And it’s just a recommendation, so let me explain. Drinking water 30 minutes before meals helps improve your digestive system, and drinking water before a shower helps reduce blood pressure. Just a gentle reminder to drink water at these specific times, but by all means do keep yourself hydrated throughout the day! We’re all living in the era of civilisation now, and our toilet bowls have also become civilised just like us – from squatting ones to sitting ones. Sure, you’re less prone to make a mess with the sitting ones, but the best position to take a dump is actually the squat. It’s all to do with the muscles that control your bowel movements; squatting relaxes it because anatomically we were meant to do it that way. 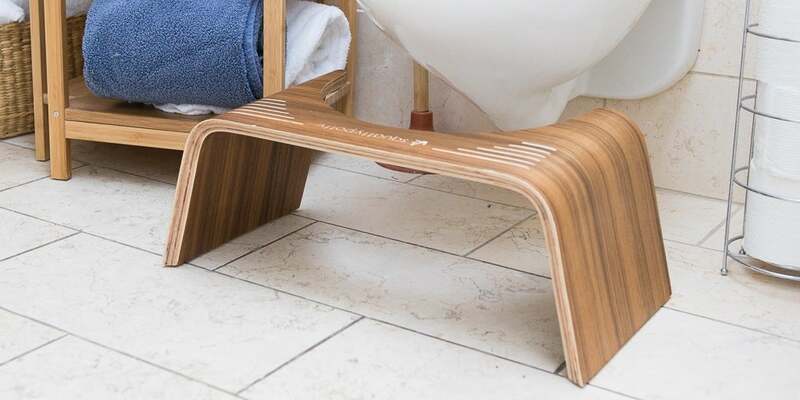 You can perch on top of your toilet bowl if you like, but if not, you can prop your feet up with a stool or something similar, and lean your upper body slightly forward in lieu of a squat. You’ve seen it in movies countless times. Ladies in labour lying flat on their backs with their legs up in the air, alternating between growling and screaming as people around her yell “push!” at the top of their lungs… ladies, this is a no-no, and the only reason why it’s been done this way so long is because it allows doctors better access. That said, the doctors aren’t giving birth, you are. 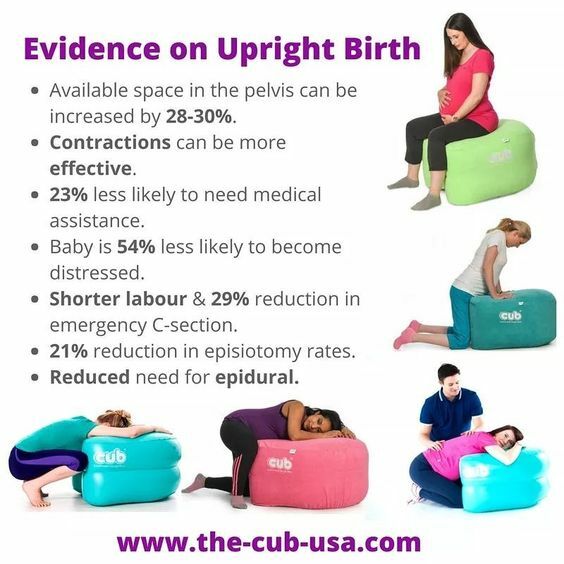 The World Health Organisation actually recommends giving ladies the opportunity to move around during labour and to change positions according to what feels right. No one position is the best, but it’s been proven that non-lying-down positions reduce tearing in your lady parts, and a squatting position usually opens up the pelvis by 10%. Honestly, everyone should just practice squatting from now on – it seems like an extremely useful position to be in. You may have heard of this one as well, as this is pretty common. Taking showers right after meals can interfere with digestion, and here’s why. Digestion, though you don’t really feel it, actually requires lots of energy and blood flow towards the stomach. When you take a shower, the blood flow redirects to the nerves instead of intestines as a reaction to the water, especially if it’s too hot or too cold. Optimally, shower first, then eat. However, it’s understandable that you’re hungry after a long work day and just want some food first. If that’s the case, allow at least 30-45 minutes after your meal before you take a shower. How many of these did you know, and are you actively practicing these habits? What else did we miss out on? Let us know in the comments below!